This segment is based on a community call organised on 18 February 2013 with additional input from Ronny Patz, Transparency International, Brussels Office. European spending programmes have been undergoing increased scrutiny among journalists and CSOs in recent years. In this section, we will examine the access to data from the EU structural funds as well as the EU Commission spending through the Financial Transparency System (FTS) and discuss what actors are involved in data-driven analysis and campaigning around this data. Following the Common Agricultural Policy, which has been covered by Farmsubsidy.org, data from the structural funds have been considered the most important spending data by both journalists and CSOs. In 2010, the Financial Times and the Bureau of Investigative Journalism published a project including an extensive database mapping the structural funds across the 2007-2013 EU budget (more info). The project was rightly heralded as groundbreaking for its level of detail and dedication and its cross-border setup. Three years later, however, it is also clear that such centrally initiated projects have limitations, and therefore challenges remain when thinking about Europe-wide spending transparency. Media outlets are unlikely to build and sustain long-term data projects. Though the project provided a unique insight into structural funds, it was not the intention of the publishers to develop a long-term model for tracing and publishing structural fund payments. Though non-profit media institutions do offer a few important exceptions, we also know that maintaining databases is costly and is widely considered to provide too little value for ongoing beat journalism inside newsrooms. CSOs have not addressed systemic needs for data. Despite receiving wide recognition from CSOs regarding the importance of the FT-TBIJ structural funds investigation, the European CSO community has remained unable to address the need for continuous data flows and analytical capacity. Several CSOs do, however, provide extensive coverage of European data across topics like FOI (AccessInfo), lobbyism (Corporate Europe, Alter-EU) and the green economy (Bankwatch, Friends of the Earth). Improvements in access to data seem still to be largely supply-driven.  There are national governmental initiatives addressing the lack of access to spending data such as Open Coesione from the Italian government (launched summer 2012), which publishes data on Italian structural funds from 450,000 development projects worth € 33.4 billion. Project Lead Luigi Reggi is regularly engaging with data journalists and the wider public through open data events and social media. 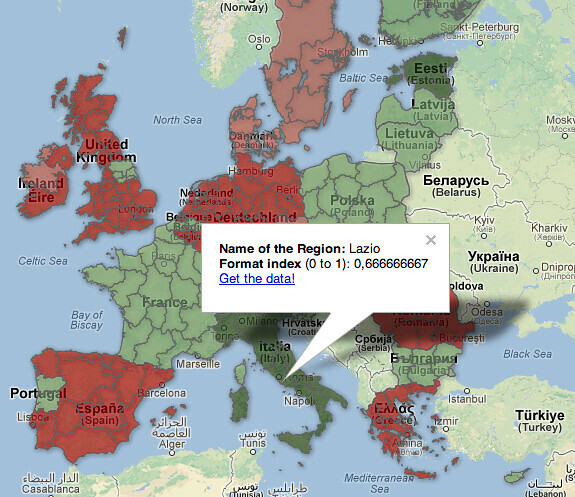 Luigi Reggi has also mapped the accessibility of EU structural funds data across the EU. The data from the EU structural funds is an example where CSOs and media outlets are still falling short of the potential of covering already-available spending data in individual countries as well as across borders. At this moment, there seems to be no clear political momentum within the EU for requiring data from the structural funds to be published at a central site (eg. on the European Data Portal). Spending reported under the FTS consists of both EU Commission spending and grant funding provided to programmes such as research, education, and foreign aid. This is likely the best documented part of the EU budget, though it is not transactional spending data, as it only provides project funding data and not actual transactions from either EU agencies nor project recipients. An increase in the minimum threshold is under consideration, however, which would cause a decrease in access to a substantial amount of payments.